What is climate change and who does it affect? In this Climate Speaks workshop hosted by the Climate Museum, you will explore the impacts of climate change and their intersections with social justice, as well as creative responses to the climate crisis. Next, you’ll explore how can we use the arts to advocate for climate action. We will focus on the power of written and spoken poetry to motivate social change. Students will be guided through the process of writing and refining original work. This workshop is only open to current high school students in the New York metropolitan area. Register now! Workshops: First, you have the chance to learn about climate change and how to use poetry to inspire action. Free workshops will be offered in every borough. Workshop participants will be invited submit an original climate themed poem to a three-judge panel. Coaching: If your work is selected, you’ll get intensive, free performance coaching and mentoring and the chance to rehearse and audition to be a Climate Speaks finalist. Performance: Third, finalists will receive additional coaching to prepare for a concert at the Apollo Theater on June 14! Applicants must attend both a climate workshop and a poetry workshop to apply to be a Climate Speaks semifinalist. Semifinalists will receive performance workshops and audition to participate in the final performance at the Apollo Theater on June 14. 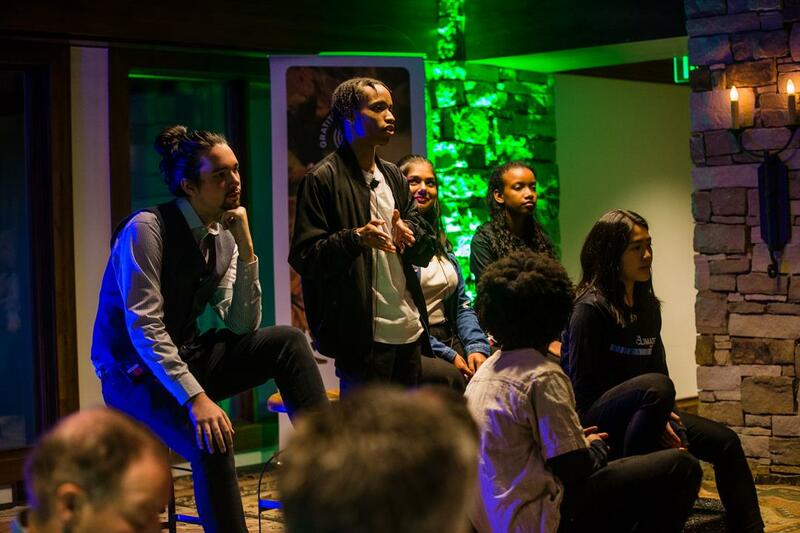 Climate Speaks is presented in partnership with the NYC Department of Education Office of Sustainability and with special thanks to Urban Word NYC. Posted on March 13, 2019 .